According to the National Transportation Safety Administration (NHTSA) Florida often leads the nation in the number of motorcycle deaths and injuries. One reason there are so many motorcycle deaths is that the weather in Florida is frequently ideal for riding, so there are a lot of riders. Another reason is that motorcycle enthusiasts flock to the state for popular events like the annual Biketoberfest motorcycle rally, not to mention Speed Weeks, which inflates the motorcycle riding population that much further. The message then is that you shouldn’t assume that an automobile driver will detect your presence, and that you should be especially cautious when approaching intersections. Of course, if you’ve been injured in a motorcycle crash despite your best efforts to stay safe, we encourage you to contact Gonzalez & Cartwright, P.A., as soon as possible. A West Palm Beach motorcycle accidents lawyer will review the circumstances surrounding your accident and assess your legal options. Then, if you choose to retain our firm, we will develop a personal injury or wrongful death claim against the negligent party and begin the process of fighting to get you full and fair compensation for your injuries. As noted above, the number one risk to South Florida motorcycle riders is the cars and other automobiles on our roads. However, there numerous things you can do to maximize your chance of remaining safe as you enjoy riding throughout our region. For more information, we encourage you to consult the Florida motorcycle operator handbook, which has more than its share of valuable information. The first priority in the wake of a motorcycle accident is to address any injuries you may have suffered. That means getting to a doctor or hospital to receive treatment. Next, it’s advisable to reach out to an experienced West Palm Beach injury lawyer (before speaking to an insurance claims adjuster). At Gonzalez & Cartwright, P.A., we have over 35 years of combined experience fighting for the rights of our clients, and one of our specialty areas is motorcycle accident cases. 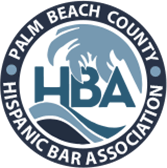 We also have had a longstanding relationship with the Hispanic community, with our bilingual attorneys and staff members frequently volunteering their time to support a variety of local causes. If you have sustained injuries in a motorcycle accident in South Florida—or if you have a family member that lost his or her life in motorcycle crash—we urge you to contact us today to discuss your rights and legal options. In addition to having someone to talk to we can help you to better understand whether you may be entitled to damages. The initial consultation is free and there is no obligation. Getting in touch is easy; our office can be reached via phone call. 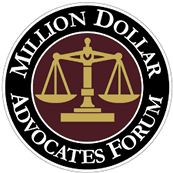 Of if you prefer, you can fill out our online form and one of our attorneys will call you as soon as possible. Our main office is conveniently located in downtown Lake Worth across from City Hill. We are also available to travel to your home, your office, or the hospital. Evening and weekend appointments can be arranged as well. FAQ: Can I recover for pain and suffering following a motorcycle accident in Florida? The short answer is yes. Of course, every case is different, but generally speaking, if you were in a motorcycle accident caused by someone else’s negligence, you should be able to recover for non-economic damages like pain and suffering, as well as economic damages like medical expenses and lost wages, not to mention other potential damages. In fact, one of the benefits of retaining an experienced West Palm Beach injury lawyer is that he or she will have a sense of the costs and expenses you’re likely to incur over the long-term, which may be difficult for you to visualize. FAQ: Can I receive compensation if my motorcycle accident was caused by a defect in my bike? Yes, the motorcycle manufacturer or parts manufacturer could be held responsible if your bike had faulty or malfunctioning parts. If you suspect that a defect in your bike caused the accident it’s advisable to take photographs and store the bike in a secure, safe place. Then contact a motorcycle accident attorney as soon as possible, one who can assess all relevant liability issues.